LT Chase Strickland, a 2015 graduate of the University of North Georgia, is presented with the LTC Keith Antonia Officer Leadership Award by Col. David Fivecoat, commander of Airborne and Ranger Training Brigade. Strickland was the number one Army ROTC cadet in the nation for 2014-15 while a cadet at UNG. LT Chase Strickland, who graduated and commissioned from University of North Georgia in May 2015 after being ranked the top Army ROTC cadet in the nation, was honored Jan. 22 for completing U.S. Army Ranger School at the top of his class. 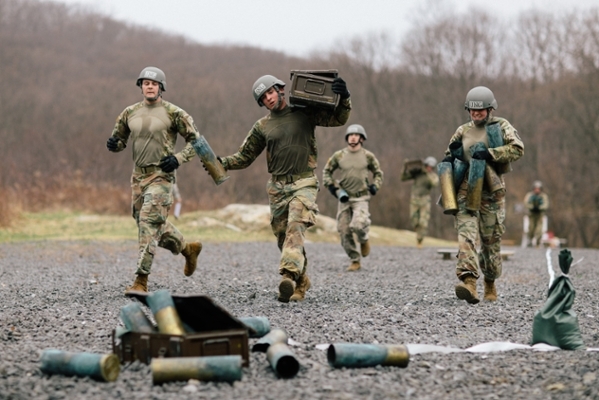 Considered the premiere combat arms course for Army leaders, the 61-day Ranger course requires selected officers and enlisted soldiers to perform effectively as small unit leaders in a realistic tactical environment, under mental and physical stress approaching that found in actual combat. The course is divided into three phases, including the Mountain Phase that is taught at Camp Frank D. Merrill near UNG's Dahlonega Campus. by Brig. Gen. Peter Jones, Chief of the Infantry. Class 2-16 was the largest Ranger Class to date, with 140 soldiers finishing from the 410 who began the course, according to Brig. Gen. Peter Jones, U.S. Army Chief of Infantry. Strickland was one of only 30 to complete the course on the first attempt without "recycling," or having to take the course again due to failure. 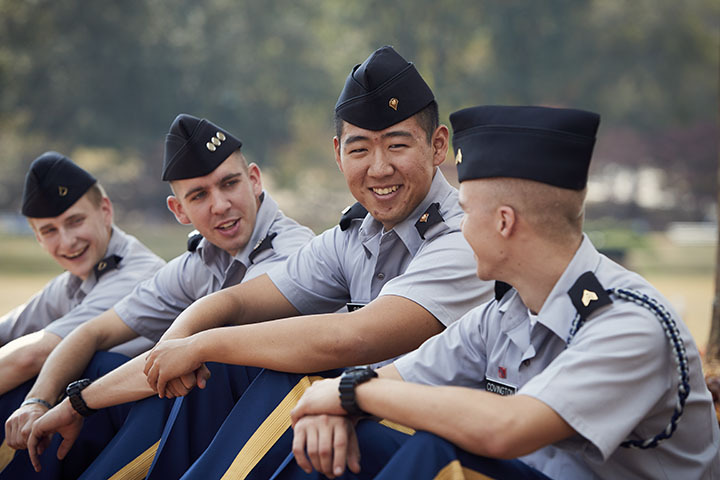 The Ranger course has averaged a 42 percent graduation rate – including recycles – since 2010. 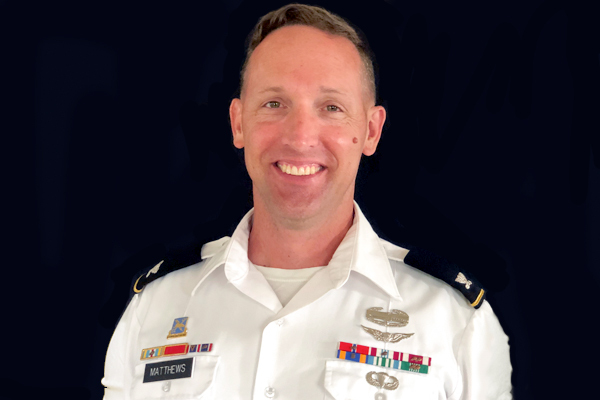 Strickland received the LTC Keith Antonia Officer Leadership Award, given to the highest-ranked commissioned officer as selected by their peers for demonstrating outstanding leadership, initiative and motivation. 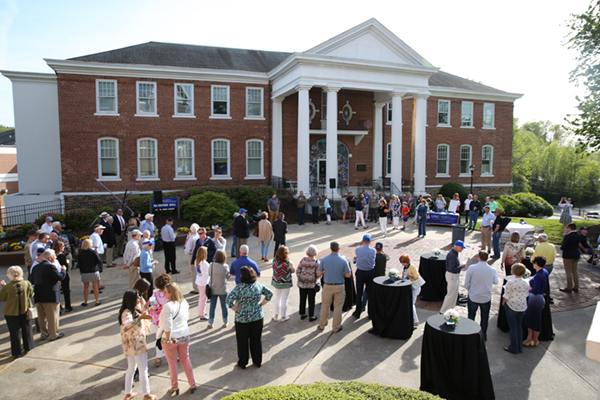 Antonia, UNG's associate vice president for military programs and a member of the Ranger Hall of Fame, congratulated Strickland on his achievement. "The entire UNG community should be extremely proud of Lt. Strickland. Ranger school is a grueling test of physical stamina and mental toughness that few soldiers volunteer to endure," Antonia said. "The distinction of being selected as the top graduate of his class means that Chase rose to become the best of the best in the most demanding test of combat leadership and guts the Army has to offer. We can be especially proud that he earned his commission from the world-class Boar's Head Brigade at UNG." Prior to completing the Ranger course, Strickland was also recognized as the top soldier in his platoon upon completion of the Infantry Basic Officer Leaders Course. Strickland, a native of Gainesville, Georgia, and son of Jon Strickland, earned a bachelor's degree in international relations with a Middle East concentration and commissioned as a second lieutenant in the infantry upon graduation. Strickland was a soldier in the Georgia Army National Guard while a cadet at UNG, and won the "Best Warrior of the 48th Brigade" competition in 2013.